Background:- You may be aware that our village shop and Post Office are at risk of closure when Peter Littlewood, the current sub-postmaster, retires. The business has been on the market for a number of months but sadly, at the time of writing, there is no current interest to buy. A village shop is a vital lifeline and for some people, especially those without transport, it is an important connection with the world beyond their front door. Much of the appeal of Oxton rests on its sense of community. The continuing presence of a shop would greatly benefit this community spirit. 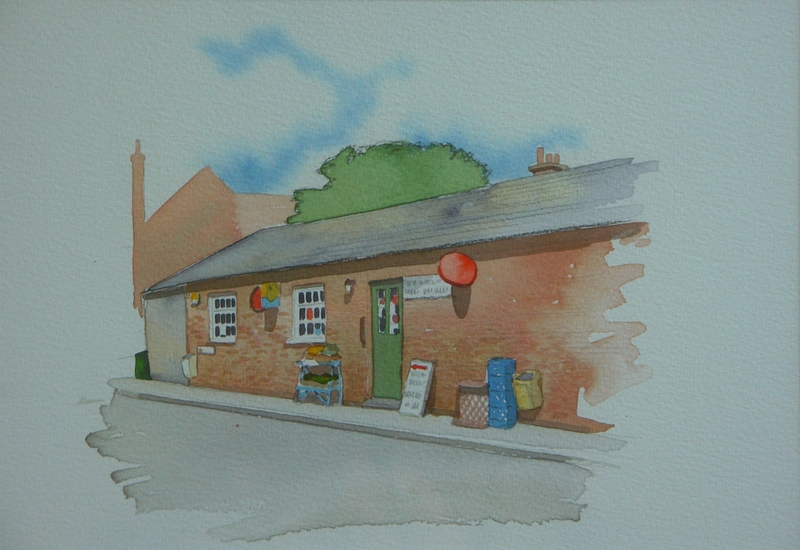 It is also important to note that having a village shop facility has a SIGNIFICANT bearing on property values. Not surprisingly then, the importance of a village shop and PO was identified in the Village Plan exercise published in autumn 2011 (Project 25a) although at that time no individual or group came forward to investigate the opportunity of a community-run business. On 5th July, the Parish Council called a public meeting to ascertain the level of support for keeping the shop/PO open. At the meeting, Jill Jones (chairman) called for a vote. The response from approx 50 attendees was 100% in favour of keeping the shop (and PO) open. Subsequently a working group has been formed whose task is to investigate the feasibility of forming a community shop run by the village for the village. The shop would need to have a mixture of PAID STAFF and VOLUNTEERS for it to be a success, with any profit going towards village projects. A questionnaire was distributed with the September edition of the Dover Beck (Oxton residents only) and feedback from it will be used to determine whether there is sufficient support from the community to take the project further. The working group needed to understand YOUR views as to whether you feel that the shop/PO is worth saving or not, whether you would actually use it and/or get involved in running it as a community-run business. The involvement of volunteers is crucial to the ongoing success of the shop and the offer of a SMALL AMOUNT of your time to run it will see the project succeed. WITHOUT SUFFICIENT VOLUNTEERS THE PROJECT WILL FAIL. The return by date for replies was 15th September. Disappointingly, only 61 households out of a potential 280 bothered to reply. That’s a pretty dismal response and very disheartening. However we will accept questionnaires upto THURSDAY 10H OCTOBER. The working group will now make contact with the Plunkett Foundation (see **note) for their advice as to, in their experience, what figure/percentage response is deemed a good enough sample size to take seriously. The outcome of this discussion plus the questionnaire results will be published and discussed at a public meeting in the autumn (date to be advised), so please look out for details and attend if you can spare the time. **NOTE:- This type of venture has been successfully achieved in other villages. There are currently over 300 community-run shops in the UK and most of these have been set up with the support of the charity “Plunkett Foundation” (www.plunkett.co.uk) with whom we are liaising. Oxton could be the next success story. what a disappointing response to the questionnaire, it would be a shame if it reflected the degree of apathy towards keeping the shop open..
Hi Malcom….. 277 questionnaires were sent out with the Dover Beck to Oxton residences. Sorry for delay in reolying but I’ve been away a few days.